The Englishman announced his resignation soon after India crashed to a heartbreaking defeat against Bahrain. 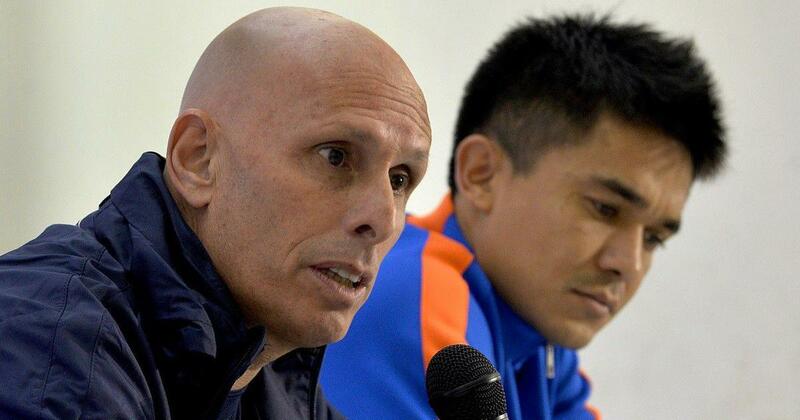 Former India coach Stephen Constantine on Tuesday said that the Blue Tigers’ spirited showing in the Asian Cup has earned them respect from the football fraternity, PTI reported. Starting AFC’s continental showpiece event with a stunning 4-1 demolition of Thailand, India’s campaign ended in heartbreak, as Bahrain relied on a late penalty to emerge winners in Sharjah on Monday. A heartbroken Constantine, quite shockingly, resigned from his post at the post-match press conference. “We were unlucky. To concede a penalty in the 91st minute is heartbreaking. But it shows everybody in India that we are capable, we have belief which we never had, we have respect which we never had and we have the determination,” Constantine said. This was Constantine’s second stint with the Indian side after having been at the helm between 2002 and 2005. Despite coming agonisingly close to sealing a berth in the round of 16, the Englishman had no complaints. “They surpassed expectations. It’s not a question of they didn’t live up to the expectations, they passed all expectations. I don’t think anybody believed me when I said that we would qualify in 2015, I don’t think anybody believed that we could qualify form the group. They believe now,” he said. Constantine returned to the hot seat after taking over the reins for a second time in 2015 and under him, India reached their second best Fifa ranking of 96 after slumping to 173 – their worst ever – before his arrival.